Posts on our bed and breakfast accommodation blog about Hexham, Northumberland, NE46. 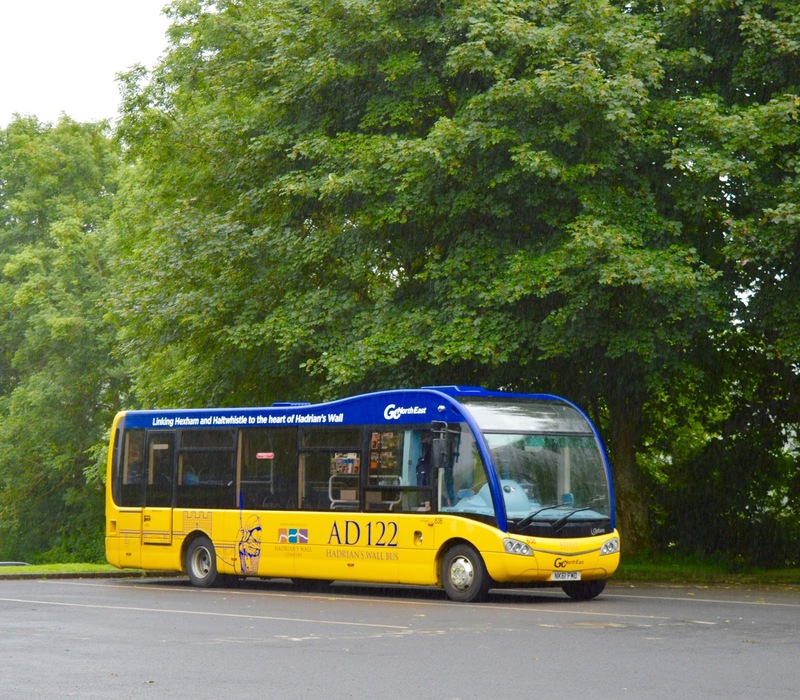 The AD122 Hadrian’s Wall bus service route covers Hexham, bus station; Hexham, railway station; Chesters Fort; Housesteads, bus turning circle; Once Brewed, for Steel Rigg; Vindolanda, car park; Once Brewed, for Steel Rigg; Milecastle Inn; Walltown, Roman Army Museum; Greenhead, hotel; Haltwhistle, market place (westbound) and Haltwhistle, railway station. Bicycles are welcome aboard the AD122 Hadrian’s Wall bus service. Hadrian’s Wall is an extremely popular destination for our guests – walking Hadrian’s Wall Path, by bicycle along Hadrian’s Cycleway or just as a day visitor to the excavated Roman forts along the wall. Nestled in a beautiful riverside location, it’s not hard to see why Chesters was a good spot for the Romans to set up a base. The fort boasts one of the best preserved Roman bathhouses you can see in Britain. Houseteads is the most iconic of all the Hadrian’s Wall sites. The views and Roman remains are spectacular. Delve into the Fort’s story and see a stunning collection of artefacts. A CGI film flies through time and reconstructs Houseteads before your very eyes. A stunning excavated fort and civilian settlement with extensive museum displaying amazing artefacts from the site including some of the world famous Vindolanda Writing Tablets. An extensive museum which gives the whole family a fantastic introduction to the Roman Army and Hadrian’s Wall. Be transported back 2000 years when you put on your 3D glasses to watch the award winning Eagles Eye film. This is one of the finest places to see Hadrian’s Wall, where it snakes and dives through dramatic countryside along the crags of the Whin Sill. Birdoswald Roman Fort is the perfect place to see the longest continuous remaining stretch of the magnificent World Heritage Site of Hadrian’s Wall. Explore the extensive remains of the Roman fort and discover interactive displays. Save 10% on admission to Vindolanda; Roman Army Museum; Housesteads; Chesters and Birdoswald. If you are looking for bed and breakfast accommodation for your visit to Hadrian’s Wall in Northumberland our bed and breakfast availability is here: online booking. Bicycles are welcome aboard the bus service. If you are staying with us this winter you may like to enjoy a traditional Christmas pantomime. There are eleven to choose from in our area! Peter Pan at Newcastle Theatre Royal, 100 Grey Street, Newcastle upon Tyne, NE1 6BR from 28th November until 21st January. Robinson Crusoe at Gala Durham, 1 Millennium Place, Durham, DH1 1WA from 23rd November until 6th January. 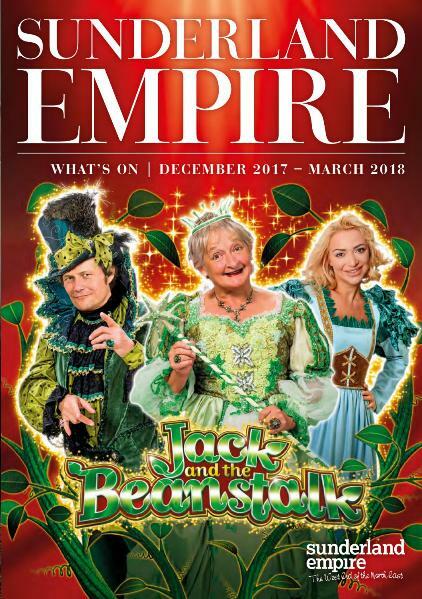 Jack and the Beanstalk at Sunderland Empire, High Street West, Sunderland, SR1 3EX from 15th December until 7th January. The Lambton Worm at Customs House South Shields, Mill Dam, South Shields, NE33 1ES from 28th November until 6th January. Alice in Wonderland at Northern Stage, Barras Bridge, Newcastle upon Tyne, NE1 7RH from 25th November until 6th January. Snow White and The Seven Dwarfs at Tyne Theatre and Opera House, 117 Westgate Road, Newcastle upon Tyne, NE1 4AG from 8th December until 31st December. Cinderella at Playhouse Whitley Bay, Marine Avenue, Whitley Bay, NE26 1LZ from 2nd December until 7th January. Jack and the Beanstalk at Times Square Newcastle from 11th until 30th December. Cinderella at Consett Empire, Consett Empire, Front Street, Consett, DH8 5AB from 2nd until 31st December. Wizard of Oz at Queen’s Hall Arts Centre in Hexham, Beaumont Street, Hexham, NE46 3LS from 14th until 30th December. Cinderella at Billingham Forum, Queensway, Stockton on Tees, TS23 2LJ from 2nd December until 7th January. If you are staying at our bed and breakfast accommodation you may like to spend a day in Hexham, Northumberland. Highlights of Hexham include the Art Deco Forum Cinema, Market Place, Hexham, Northumberland, NE46 1XF; Hadrian’s Wall; Hexham Abbey, Beaumont Street, Hexham, Northumberland, NE46 3NB and Queens Hall Arts Centre, Beaumont Street, Hexham, Northumberland, NE46 3NB. If you are looking for bed and breakfast accommodation for your visit to Hexham in Northumberland our bed and breakfast availability is here: online booking.